ERP software solutions have increasingly gained traction among enterprises both big and small for its centralized approach to business processes. With it, you can collect, store, manage, and interpret data from various business units. Likewise, ERP is used to automate back-office tasks and streamline cross-departmental workflows. When optimized, the solution can drive efficiency, lower costs and increase profitability. However, there are still plenty of companies who have yet to invest in one primarily because they are unaware of what it can do as well as what to expect when implementing one. If you are one of these companies, well, you’re in luck. We have prepared an in-depth analysis of the features, types, and benefits that these ERP programs have to offer. In addition, we’ve presented how ERP systems are typically priced so you have an idea how it impacts the budget, and listed down some examples that you might want to consider as you browse for one for your company. What are the types of ERP software? What are the factors to consider when choosing ERP software? What are the potential issues with ERP software? What are the latest ERP trends? How can you maximize your ERP software? ERP used to be accessible only to large enterprises because of the capital hardware required like servers and multiple workstations, and dedicated teams to handle its complex deployment, upgrades, and maintenance. However, in Accenture’s 2019 ERP trends study, they predicted that SaaS ERP deployment is accelerating as a mainstream delivery model with cloud vendors chipping away chunks of the market from legacy developers. Today, SaaS technology enables vendors to also offer ERP solutions to small and medium enterprises. Modules are sold separately or bundled as a plan, while hardware and technical maintenance are managed by vendors. The features of ERP software may be pared down or limited to a couple of functions but this still allows companies of all sizes to reap the benefits of ERP software. 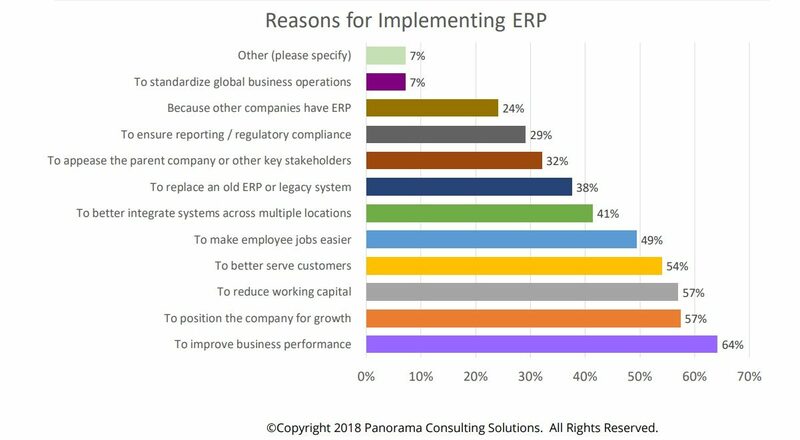 Some of the reasons they implement these ERP platforms are to improve business performance (64%), to position company for growth (57%), or to reduce working capital (57%). In addition, startups and SMBs can now rely less on manpower to go about their day-to-day operations. Another reason why SaaS ERPs are now becoming more popular among businesses of all sizes is because of its scalability. Companies can now choose to utilize all facets of ERP or simply select a combination of modules depending on their needs. Modules often address a main business area, such as, inventory management, accounting, payroll, human resources, marketing and product planning. The more robust ERP solutions feature CRM and business intelligence, but, expectedly, are pricier. If you are still wondering why ERP solutions are now essential to your business, read on. We will get right down to the nitty-gritty of its features, benefits, and types. This way, you have an idea of what to expect when you invest in one for your business. To help you get a better idea of what a good ERP tool is, we have listed down some of the leading software solutions on the market along with a short description of what they can do. These platforms are known for their fully integrated interfaces, comprehensive feature sets, scalability, and easily configurable systems, so you can be sure that these are truly the best of the best when it comes to ERP software. Of course, these are not the only platforms that you can consider. If you’d like to see more options, check out our list of 20 best ERP software tools. NetSuite ERP. A fully integrated ERP targeted built for fast-growing companies, NetSuite ERP offers a scalable interface equipped with everything you need from financial management and inventory management to payment processing and vendor management. It is capable of automating a wide range of front- and back-office processes so that streamlining operations is much more simple. Moreover, it gives users robust reporting tools that offer actionable insights on your performance. To learn more, you can sign up for a NetSuite ERP free demo here. Sage Intacct. Another popular cloud accounting solution is Sage Intacct. Created for small and medium businesses, this platform features ERP capabilities via integration, such as, financial management, wholesale distribution, and retail management. In addition, it also comes with workflow management options that let you perform bank reconciliation, automated journal entries, and trial balance. What’s more, is that Sage Intacct comes with a no-fuss interface that both novice and professional users can get the hang of in little to no time. SYSPRO. Designed specifically for companies in the manufacturing industry, SYSPRO has been providing ERP solutions to companies for over 40 years. It comes with robust tools for accounting, document planning, work order management, project management, as well as inventory control so that it is easier to keep all the data in one place and manage all processes from one platform. It is also known for its use of BOT agents that are in charge of automating redundant processes and giving you fast support for all aspects of your operations. Odoo. Among our examples of ERP software, Odoo is unique because of its open-sourced, modular architecture. It provides you with best-in-class sales and project management functionalities to start and as your business grows, you can choose to extend the platform’s capabilities by choosing from their extensive selection of applications. They offer a variety of applications for MRP, POS, accounting, eCommerce and other business processes. Moreover, the system is capable of seamlessly integrating with third-party applications so you can use your existing systems. Oracle ERP Cloud. An end-to-end business management platform, Oracle ERP Cloud provides users with an integrated system for large businesses ranging from telecommunication and sales firms to pharmaceutical and manufacturing companies. It comes with financial planning features, risk management tools, project execution capabilities, as well as compliance monitoring options. In addition, Oracle ERP Cloud also offers users a performance management module to help you gauge productivity within your enterprise and pinpoint how to improve overall operations. Microsoft Dynamics GP. Coming from an industry leader, Microsoft Dynamics offers a robust set of features that tackle financial management, human resource management, supply chain management, and workspace collaboration. It is also known for its top-notch business intelligence feature that lets users get actionable insights on their ERP data. Another claim to fame of this particular platform is that it seamlessly integrates with third-party partners, both cloud-hosted and on-premise. SAP ERP. Another ERP tool coming from a prominent software provider is SAP ERP. Used by over 172,000 companies globally, this platform comes with supply chain management and customer relationship management functionalities and has the ability to integrate with various applications and modules for other business processes. Other than its highly scalable interface, another thing that makes this platform unique is that it can be deployed on-premise, on the cloud, or as a hybrid model for your convenience. ADVANTAGE 365. An integrated system that unifies a plethora of core functionalities to simplify the way you run your business operations. With core features for accounting, rental, inventory, credit card processing, sales, and other tools available within a single system, you can are able to handle more demanding tasks and smoothly execute your operations. Furthermore, with all core capabilities easily accessible by a few clicks, you are able to greatly bolster your operational efficiency without suffering from the headaches brought about by using separate business systems. NetSuite ERP is one of the leading examples of ERP platforms on the market. Business processes like accounting, sales, marketing, production, and inventory are integrated in one ERP platform. It’s easier to collect and access data across the organization, streamlining cross-departmental workflows. Likewise, ERP automates day-to-day tasks like entering data or generating reports. Repetitive processes are eliminated, freeing teams to focus on their core deliverables. For instance, marketing can run a daily web traffic report without bugging tech; or, accounting can instantly access the week’s sales stats without chasing the sales director. Moreover, SaaS ERP further extends collaboration between remote teams and headquarters through the internet. Offshore business units are now within earshot of their mother unit. A culture of collaboration drives innovation and team play and, in general, makes businesses more competitive. ERP solutions have firewalls and restriction controls to guard against data breach. Having a single data warehouse means access points are tightly monitored and security is concentrated. Likewise, user permission rules give the admin the flexibility to lock in sensitive data without limiting user access to other information. Administrators can also quickly deactivate the access of terminated employees and grant permission to new ones. ERP solutions also display user activities, so you can easily spot unauthorized actions or suspicious activity patterns in the system. The only worse thing about the lack of a forecast is a wrong one. Forecasts shape strategies; thus, it’s crucial organizations get the real picture. Using a centralized database, ERP lends to a company’s disparate business solutions a standardized process, ultimately, enhancing data integrity. SaaS ERP also gives you a means to increase operational flexibility. For one, it helps you integrate existing apps to your system or export your ERP data to other business apps for a more streamlined workflow. Secondly, most of these give you the option to add more modules as your business grows so that you no longer need to replace your system with a new software. Lastly, SaaS ERP gives you mobility as it can often be accessed on any device so long as it is connected to the internet. To add to these, ERP software providers often takes care of patches, gives regular updates, and handles troubleshooting in case of technical problems. This means you don’t have to worry about maintenance costs. Sage Intacct is one such ERP platform that can help you increase efficiency, prmote collaboration, increase data security, and more. Generalist ERP. Many legacy and cloud ERP solutions are generalists. They adapt to processes across industries. These solutions have strong customization and integration to match varying industry requirements. It’s also not a surprise given its large market generalist ERP vendors are also one of the largest. Some examples of this type of ERP solution is NetSuite ERP. Open-Source ERP. Open-source ERP solutions are still a tiny fraction of the total ERP market. But solutions like Odoo ERP lend to companies with resident tech teams the flexibility to develop and integrate their own apps into the ERP. For developers, open-source increases usability and user adoption because the ERP can churn out highly customized processes. Vertical ERP. These are industry-specific ERPs. Often, vertical ERP vendors are startups or smaller companies that try to focus on a niche, such as, construction, supermarket distribution or retail fashion. Among the most popular examples of this particular platform is Microsoft Dynamics AX. Small Business ERP. These are off-the-shelf cloud or on-premise ERP solutions. Often, the ERP is modularized with pared-down features. Instead of delivering a fully integrated system, small business ERP like PeopleSoft serves one or two business processes and leaves out the others. For instance, it features HRM and accounting function only, with add-on options for CRM, inventory or supply chain management. For this, small business ERP is also referred to as lightweight ERP. Odoo offers an open-source ERP system that can scale up or down depending on the needs of your business. HRM. This module features standard HRMS tools like time tracker, timesheet, and database for employee records, job profiles, and skills matrix. HRM module may also include performance reviews and payroll system. The latter is closely integrated with the financial management module to manage wages, travel expenses and reimbursements. Some ERP solutions also feature a training or LMS function under HRM. Financial management. This module manages your capital inflow and outflow. It covers standard Accounting and Finance transactions like expenditures, general ledger, balance sheet, bank reconciliation, tax management, and payments. This also generates financial reports for different departments and business units. Sales and Marketing. The module handles sales workflows like sales inquiries, quotations, sales orders and sales invoices. The more advanced ERP also features taxation rules and shipping tracker. The Sales and CRM modules work together to speed up the sales cycle and earn the company more profits. Manufacturing. Sometimes referred to as engineering or production, this module helps businesses make manufacturing more efficient in areas such as product planning, materials sourcing, daily production monitoring, and product forecasting. Some of the key functionalities in this module are bill of material, production scheduling, shop floor control, and distribution planning. The module is tightly integrated with SCM and inventory modules especially in areas like product planning and inventory control. SCM. This module covers key aspects in your supply chain including purchase order management. It manages product flow from production to consumer and, occasionally, vice-versa for returns or recalls. A key feature of the SCM module is process automation, which streamlines your entire supply chain and makes it adaptive to sudden market shifts. Inventory. Also called material management module, it helps you measure stock targets, standardize replenishments, and other inventory goals. It uses product serial numbers to track and locate items in your organization.  This module is closely integrated with the Purchase module. In addition to these basic functions, there are more advanced ERP platforms that also include business intelligence, asset management and e-commerce. Also, ERP can be vertical with industry-specific features for, among others, retail, healthcare, government, and nonprofit. SYSPRO can provide you with functionalities ranging from inventory management and order purchasing to HR management and marketing management. Suppose you already weighed the cost-benefit ratio of getting an ERP and you’re convinced it’ll drive overall profitability. You now need to consider these key factors to ensure you optimize its ROI. Upgrade vs. Replacement. Evaluate first if you need to get a new ERP system or just an upgrade. Many ERP solutions today are modularized; you can simply integrate a module, for instance payroll, with your current applications. This way you minimize disruption and costs. But if your ERP system is ten years or older, it may be wise to replace it. You can leverage today’s ERP solutions for mobility, integration, scalability, and deployment options. Similarly, machine learning, predictive analysis, and advanced reporting are pushing ERP to the next level. Training and Setup. On-premise ERP solutions need to be installed by someone with technical knowhow. If you lack a tech team, make sure you understand your service level agreement or SLA. Installation is often charged separately from license, but some vendors offer all-in bundled plans. For SaaS ERP, setup is as easy as activating an account to access the vendor’s server. Likewise, ERP is more complex than most business solutions, so it requires user training. Does your vendor provide this service? Whether bundled in or exclusive to the plan, the kind of training you’ll receive should suffice for average users to adopt the system. Reporting and Dashboards. Go beyond spreadsheet and PDF exports. ERP solutions today feature advanced reporting that can generate compliant financial statements based on your region. The latest ERP reporting tools also allow in-system query and smart filters coupled with real-time data. Likewise, look for agile and ad hoc reporting to quickly adjust to evolving business needs and disruptions. Dashboards, on the other hand, should let you mash up quantitative vs. qualitative data at user, role, and department levels. Look for the standard dashboard function of displaying KPIs with drill-down links. Integration. ERP should work seamlessly with your existing business applications. There are a number of integration points you need to consider from top to bottom. These include system-to-system (example, ERP to your existing CRM or HRMS), module-to-system (example, ERP payroll to your existing HRMS) and file transfer capabilities (example, exporting/importing PDF, JPG, DOC, CSV files). An ERP with flexible integration can work with existing infrastructure, expand its functionalities or, in fact, replace it while ensuring smooth records and files migration. Customization. Aside from ensuring the ERP processes match your key business workflows, look closely at your departments. They may have different priorities and culture, which may even be contradictory. For example, marketing spends, while accounting saves, or production lives by daily output, while sales live by monthly quota. All these lead to myriad workflows that won’t fit into a one-size solution. Look for an ERP solution with customization tools, localized dashboards, and configurable workflows, among others, that allow departments to define their goals and set the ERP based on their parameters. Oracle ERP Cloud is another best-in-class platform that offers comprehensive features and a scalable, highly configurable interface. Most ERP solutions are priced by quotation for customized features. The cost of ERP software is usually based on factors like number of users, modules, installation, add-ons, maintenance and training. Let’s take a look at the price model of some of the most popular ERP solutions today. NetSuite ERP is available by quote and is priced based on the number of modules you want for your system, the number of users per month, as well as the kinds of add-ons you need. Sage Intacct, like many other leading ERP platforms, only offers quote-based plans so be sure to contact the vendor to get a package tailored to your specific needs. SYSPRO is only available by quote. Their plans are often calculated according to your preferred deployment option, the number of users you want to onboard, and the modules you’ll be needing. Odoo offers a flat rate of €10/month, making it one of the most affordable options among the leading ERP platforms. This is inclusive of the basic functionalities of the program. Separate charges apply for the applications you are going to integrate into the system. Oracle ERP Cloud offers three enterprise pricing structures that are bundled according to the functionalities you’ll be needing. They have a Financial Reporting Plan, Advanced Financial Control Plan, and Advanced Access Control Plan that cost $175/user/month, $80/user/month, $150/user/month respectively. Microsoft Dynamics GP offers a variety of pricing plans depending on your licensing preference. For those who want to subscribe to a service, they have a package that costs $214/user/month as well as a hosting plan that costs $134/user/month. They also offer a perpetual licensing plan that is available by quote. SAP ERP is only available on a by-quote basis. These plans are often bundled depending on the types of modules you prefer as well as your required deployment option. For more information, be sure to contact the vendor. ADVANTAGE 365 pricing is available by a quotation. Please contact the vendor to understand how they can cater to your business requirements. 1. One-size-fits-all doesn’t cut it. Plug-and-play, off-the-shelf ERP solutions work well with small businesses with straightforward processes. But for large corporations with subsidiaries in different places, a uniform system quickly runs into bumps in a diverse environment. Variations in factors like culture, policies and regulations make it difficult to implement an overarching infrastructure. The result is either the ERP suffers low user adoption or an expensive system is left in an abandoned company warehouse. Many large enterprise today are trying a two-tier ERP approach to address their organizational complexities. A corporate ERP is used by headquarters, while another ERP system is used by the subsidiaries. If your business is using dozens of productivity apps, introducing a plug-and-play ERP won’t be that smooth. The more existing applications you have in place, the narrower your options to find a fully integrated quick-install ERP solution. Unless you plan to discard existing applications, you need to assess ERP integration for each of these apps. It’s time-consuming and, even if you’re lucky, you’ll find the best ERP falling one or two apps short in compatibility space. In such case, getting an ERP with an open API ensures your developer can tweak the system to integrate your current apps. ERP aspires to cover the whole nine yards of operational and financial tasks. This overarching infrastructure, in fact, lends to ERP its strengths: shared files, integrated and automated processes, central database and a collaborative platform. They drive efficiency and lower costs. However, the same single architecture is its source of weakness. the classic all-eggs-in-one-basket risk. The wider the scope of ERP, the more access points it has. This means there are more chances of internal data breach. Although firewalls and encryption mitigate this risk, the fact is all your data is attached to this system superhighway. Poorly designed ERPs heighten even more the security risk. Incompatible applications can lead to crashes. Limited reporting tools force users to import external files, leading to a firewall break. Moreover, a disgruntled tech employee can wreak large-scale havoc. Delayed updates or old system version also exposes all your data to hacks. The good news is, ERP vendors are fully capable of putting up security checks and controls. After all, any breach is a death kiss to their business. Most ERP solutions are designed for financial compliance, so the problem is less of a technical shortcoming and more of how the ERP is implemented. When an accountant is not part of the ERP project, it’s easy to gloss over financial compliance. The CEO or CIO is focused on streamlining processes to drive efficiency. Without the auditing and regulatory knowledge of a CPA, financial regulations can easily be overstepped, including GAAP requirements and Sarbanes-Oxley Act (SOX) protocols for US-based public companies. The issue can easily be addressed by including a certified accountant in your ERP project team. She can verify if the configuration, controls and processes are compliant and recommend audit controls, where necessary. As the product of an industry leader, SAP ERP offers features that are continuously being improved to eliminate the abovementioned risks. SaaS and On-Premise Hybrid. ERP, because of its complexity, has a lot of grey shades in between SaaS and on-premise. There are companies that prefer a hybrid approach, integrating cloud inventory management into their on-premise accounting-centric ERP or a cloud payroll into a local HR-focused ERP. From a cost and process perspective, this strategy makes sense, driving vendors both legacy and startups to offer hybrid ERP. For example, Oracle isn’t replacing its on-premise licensing, but co-opting it with cloud solutions. Similarly, Salesforce, a pioneer enterprise cloud platform, offers integration with legacy on-premise solutions like SAP and Siebel. Two-tier ERP. Large multinational companies are favoring a two-tier ERP approach. In this setup, two ERP systems are in place, tier 1 at the corporate level and tier 2 at the subsidiary level. This strategy is borne out of the limitations realized by big corporations in building an overarching ERP system across a multi-country organization replete with stark regulatory, cultural, geopolitical and market differences. Social ERP. Billed as ERP 2.0, social ERP adds social media data like Twitter and Facebook profiles and posts into the system. The integration is mainly a CRM initiative as businesses leverage online customer engagement, brand mentions, public data, friend network, and likes and shares to gain tacit customer knowledge. A SYSPRO study pointed out how social ERP can increase customer engagement and, eventually, improve conversion rates. Mobile ERP. Some ERP solutions now offer native apps for iOS, Android, and Windows. Most of these, however, are pared-down versions featuring only the most important KPIs like sales, leads, and web traffic. Still, this means you can remain connected and productive outside of the office. But mobile access can be a double-edged sword. Security risk is heightened when sensitive data is accessed anywhere and via a device not issued by the company. A good mobile ERP allows a separate user permission to help you manage who can access company data on their phones. Microsoft Dynamics GP offers top-notch ERP functionalities that adapt to the current industry trends. As you can probably tell with what we’ve discussed so far, ERP platforms provide businesses with practically everything they need to manage operations. It can streamline workflows, facilitate collaboration, process transactions, and the list goes on. However, you should also acknowledge that ERP solutions are not supposed to be treated as a silver bullet that will magically optimize your entire business. Instead, think of it as a tool that will reinforce the work system that you’ve already set for your operations. Establish Key Performance Indicators. Before you implement an ERP system, you need to know what goals you want to achieve. You need to set concrete key performance indicators to help you guide your workflows in the right direction and evaluate your success later on. Have a Workflow in Mind. In any industry, it is not a good idea to go about your day-to-day operations blindly. You need to plan how exactly you want to achieve the goals you’ve set by having a workflow in mind. First off, you need to define roles and responsibilities clearly as well as come up with a proper chain of command. After which, you need to lay out the specific steps that one needs to do to finish particular projects. Lastly, you will need to set how you want tasks to move from the moment they are made to the time they are accomplished. By doing so, it is easier to monitor if your projects are being done correctly and pinpoint inefficiencies in your system. Create a Concrete Timeline. For every task you undertake, you should have a specific time frame in which you expect it to be accomplished. This is helpful not only in getting accurate estimations of project completion but also in gauging the productivity of your team. Ready to choose an ERP system for your organization? A good idea is to start by evaluating the top ones in this niche, from which you can measure against the other systems. Check our comparison of the top 3 ERP systems here to jumpstart your product research.